Until Final Version Release, You get 50% Off! *Try the most stable version after you purchase this game. *Trial Version limited in 3 levels, No update support. 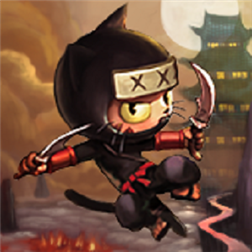 – High quality platformer, ninja action game. – Physics based control and effect. – Skill and weapon upgrade system. – Touch based intuitive control system. Pressing Arrow Buttons located at left hand side to move. Pressing Jump Button located at right hand side to jump. Switching weapons, button located at corner of top right hand side.